For almost 100 years the Eastwood Theater has been providing entertainment and encouragement for the people and families of the Greater Toledo area. 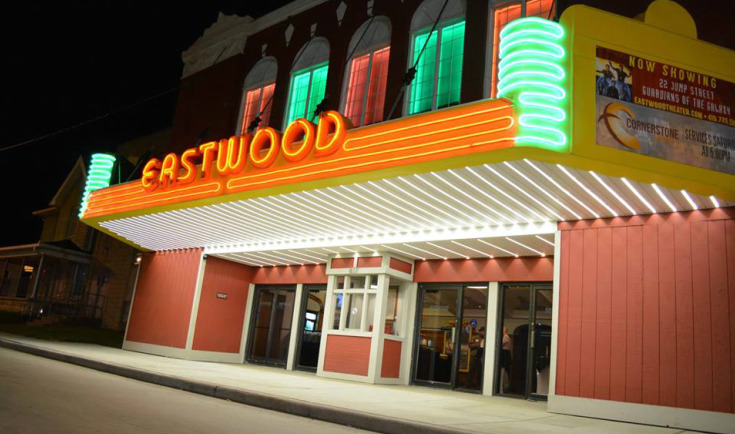 From movies, to plays, to worship services, the Eastwood Theater has made unique and timeless memories in the lives of countless individuals. It is the hope of Destiny Enterprises along with the Toledo Cinema Group and Cornerstone Church that this place will be a hub for gatherings, entertainment, community service and spiritual growth. It is our belief that the next generation of leaders and shapers who live and work in East Toledo will be inspired to grow and flourish, and it is our mission to be a part of that process. We are located at 817 East Broadway St Toledo, OH 43605. Parking Available in the lot behind the Eastwood Theater. Nice theater! Had an enjoyable time at the movie tonight. Omg holy renovation. Nicest theater I've been in. Thank you!! I remember going to Eastwood as a kid. My mom took me and my sisters there to see the original Fright Night when I was little and the last time I was there was in junior high with a friend. I'm so happy to see the theater back open and doing well. Gorgeous space and friendly staff! This theater is a wonderful asset to the East Toledo community and we are thrilled to have them! Just went down memory lane and saw the beautifully restored Eastwood Theatre. My last show was with my grandma in the late 80's I believe. Also I'd love to see some screenings of possibly documentaries such as GMO OMG or others that can help bring awareness to the community. I'd love to see this place thrive. Thank you for all who made this possible. Great job! Can't wait to take the kids again! Will be making it a bi weekly treat for the kids. Hope it sticks around! Love it !!!!! TMNT was in great picture quality !!! Props to the restoration crew for bringing the theater back to life . The only thing I saw that is really needed was some rope lighting on the main stairs and on walk ways . It was kinda hard to see going up and down when lights were dim. Over all GREAT JOB !!!!! They did a great job is looks great. Injoyed the movie. 5 for movie 2 for popcorn the best popcorn. And close to home that was great. I will go back for sure. Fantastic! We saw Maleficent. Excellent movie. We Love the authentic local and historic feeling. And we were able to walk theatre too; a real plus in my book. I havent been able to do that since the 1970s. 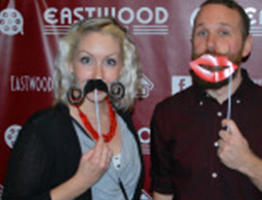 The Eastwood is the gem in our East Village neighborhood! I've never been on the inside bt I've always gone to East Toledo Baptist Church as a kid and would always wonder what the inside of the theatre looked like and why it wasn't open. I'm happy that someone took the time to bring entertainment back to the east side. I'm giving 5 stars just because the outside looks beautiful and I'm excited lol. I was able to get a sneak peak and I can not believe how great the place looks. Kudos for bringing this theater back to life. I look forward to visiting ofter once it is officially open.